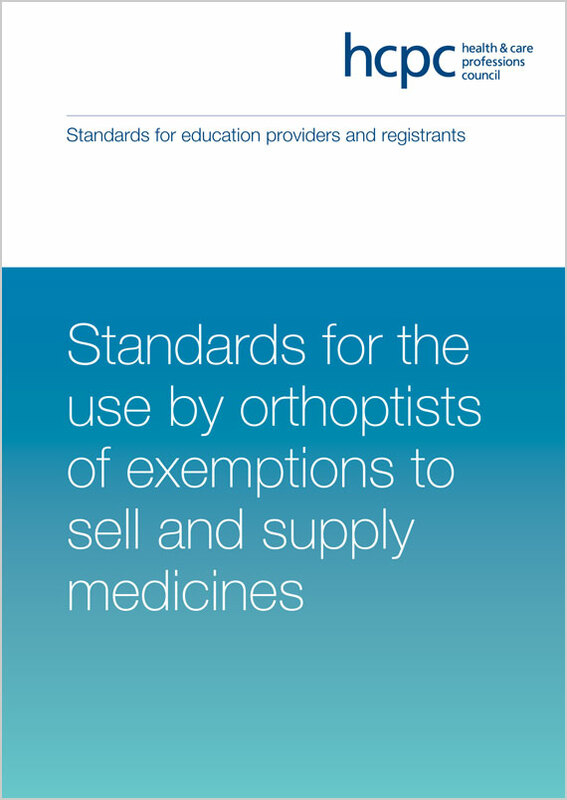 The standards to enable registered orthoptists who are appropriately trained to sell and supply certain prescription only medicines on their own initiative to patients as part of their professional practice. The standards have two purposes. They set out our expectations of education providers delivering training to orthoptists in using these medicine exemptions. They also set out the knowledge, understanding and skills we expect an orthoptist to demonstrate when they have completed this training. The standards are effective from 23 November 2016.